Destination — the Cote d'Or and the village of Chambolle-Musigny and the luxurious Chateau Andre Ziltner. The northern half of the Cote d'Or is called the Cote de Nuit, and produces the famous red wines of the Pinot Noir grape. Your second day is spent visiting the best-known vineyards in this district including Vougeot, La Tache, Romanee-Conti and Gevrey-Chambertain. Have another favorite" Ask your driver. The following day takes you on an exploration of the Cote de Beaune where the great white wines are produced with the Chardonnay grape. Visit the tiny village of Puligny-Montrachet, and end with a visit to the famed Chateau de Meursault. For a unique tasting, try the Marche aux vins in Beaune. Journey through the beautiful Seine Valley to Monet's garden, en route to Normandy and the Chateau d'Audrieu. Spend a full day exploring this dramatic stretch of the invasion beaches from Arromanches to Omaha Beach. Lose yourself in the somber memorial of the American Cemetery — and finally to the rugged cliffs of the Pointe du Hoc where the landscape of the fierce battles remains untouched since D-day. 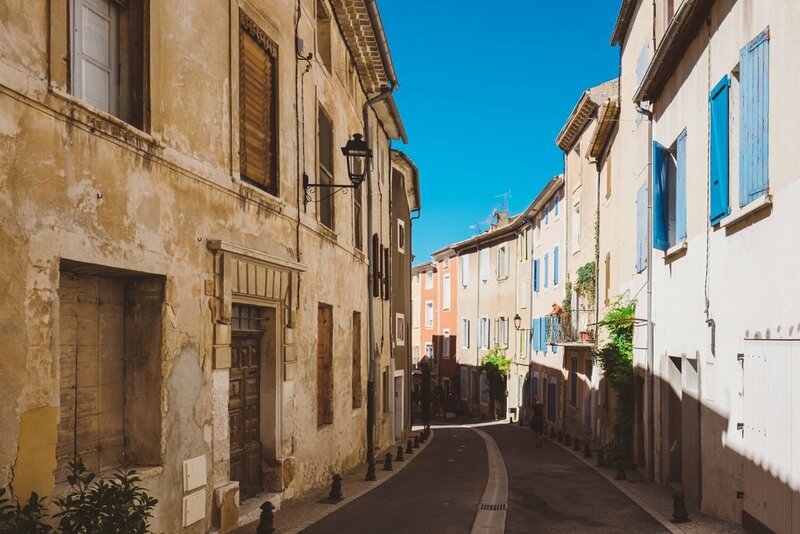 Drive via Grasse deep into the Haut-Provence to the spectacular setting of Moustiers-Ste-Marie, famed for its pottery, Faience. Stay overnight in the luxury and charm of the Bastide de Moustiers. Continue to the Provence of Peter Mayle and the hill town villages of Bonnieux and Menerbes, then via Gordes to Avignon and the luxury of the Auberge de Noves for two nights. Visit the magnificent three-tiered aqueduct of the Pont du Gard, and the town of Arles called "the soul of France." Here Van Gogh painted some of his most celebrated works. Return to Nice via St-Tropez and Cannes along the sea. Wind your way down to the unusual coastal strip called the Cinque Terre and its main village, Monterosso al Mare. Continue along Santa Margherita to Portofino and the amazing Hotel Splendido to enjoy the gardens, dining terrace and panoramic views. Drive north to Lake Como and the world-renowned Villa d'Este to relax in elegant comfort for two nights in one of the most favored spots in Italy. Explore the unique and important Roman city of Verona en route to Venice. Leave Rome driving south via Pompeii to see the "living" remains of this antique Roman resort. These ruins provide a wealth of knowledge about domestic life of the 1st century Romans. The Amalfi Drive follows the rocky coast between Sorrento and Salerno. Its innumerable bends along the coastline, afford consistently changing views of enchanting landscapes, oddly shaped rocks plunging vertically into a crystal-clear sea, and Saracen towers, once the haunts of pirates, perched on peaks and reefs. Sorrento's warm climate, beautiful gardens and magnificent vistas are a welcome stop. The Moorish gardens of Ravello sit high above the sea, with Capri lying invitingly just offshore. Drive via Spoleto and the Italian hill towns to Assisi to visit the Basilica of St. Francis. Not to be missed are the frescos of Cimabue and Giotto that marked the beginning of the Renaissance. Your car will continue deep into Tuscany and the Locanda dell'Amorosa for two nights. While there, you'll visit the Tuscan towns of Multipulciano, Pienza and Montalcino. Continue to Siena to visit the Piazza de Campo, which is one of the best-known piazzas in Italy because of its architecture and its annual Palio horse races. Deeper into the countryside brings you to the elegance of the Relais La Suvera. Your journey ends in Florence via San Gimignano. You'll head for the Whisky Trail en route to Inverness, the gateway to the Highlands. Glistening chandeliers and marble fireplaces feature in the décor of Culloden House, a Palladian mansion dating from 1772 — and your Highland home for the next two nights. Among its famous visitors was Bonnie Prince Charlie, who fought his last battle by the park walls. Spend a day exploring deep into the Highlands via Bonar Bridge and through the Glens to Ullapool. Drive the length of Loc Ness whose dark waters are the home of the elusive "Nessie." You'll also see the famous Inverlochy Castle. Guests have included Queen Victoria and the King of Norway. Travel through the scenic and historic site of Glendalough, which founded by St. Kevin in the early 6th century, to Ireland's most celebrated medieval city, Kilkenny. Continue on to Waterford, known the world over for its glass making. The factory, located just outside the city, offers guided tours and views of the glass making process. A small car ferry takes you to a little island for an overnight stay at Waterford Castle. The road continues through Blarney Castle to the Ring of Kerry before settling in at the beautiful Killarney Park Hotel. Travel via Adare, reputed to be Ireland's prettiest town, through Limerick to Bunratty Castle. Your last night is at the historic Dromoland Castle, situated in 375 beautiful acres. Revel in the glories of Ancient Greece. From Athens travel the Sacred Road to the Corinth Canal, and on to Epidauros, the finest theater in the Ancient world. Continue to Mycenae to see the Palace, Lions Gate and Tomb of Agamemnon. Stop for the night in the picturesque seaside town of Nafplion at the luxurious Ampihtryon Hotel. The next day, race across the Argos plain to Tripolis and Vytania to reach Olympia and the stunning Mandola Rosa boutique hotel. In the afternoon, explore the ruins of Ancient Olympia. In the morning continue north to the magnificent Rion Antiron Bridge crossing the Gulf of Corinth to the mainland, before going on to Delphi. Before returning to Athens, the last day is devoted to touring the ruins of Delphi, sanctuary of Apollo, one of antiquities greatest sights. With its unique cultural heritage and spectacular landscape Cappadocia is one of the world's most fascinating destinations. Your chauffeur will meet you at Kayseri Airport for the drive to Goreme and your base for the next three nights — the luxurious Anatolian Houses a boutique hotel carved out of volcanic rocks in a fairytale setting.